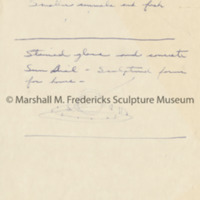 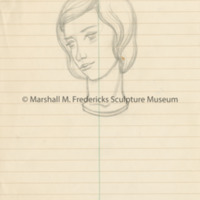 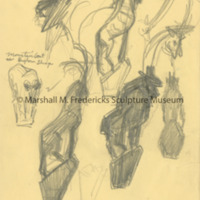 Unidentified sketches, possibly for "Sheep (The Guests Have Arrived)"
Unidentified sketches, possibly for "Sheep (The Guests Have Arrived)" or for unrealized sculpture featuring sheep with satyr. 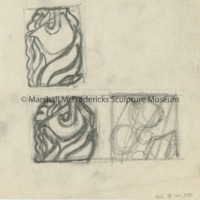 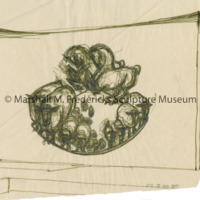 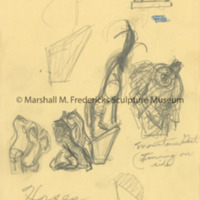 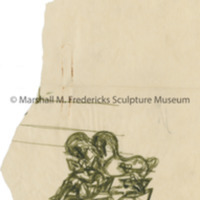 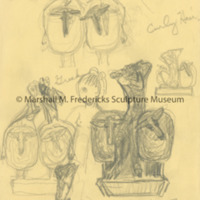 Unidentified sketches of mountain goats and bighorn sheep, possibly early concept for "Levi L. Barbour Memorial Fountain" on Belle Isle or "Siberian Ram". 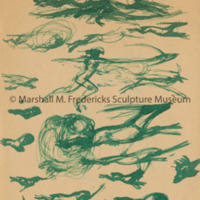 Unidentified sketches of various animals, including baboons, gazelle, panthers, owl, and rabbit. 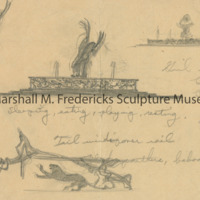 Sketches may include early concept for the "Levi L. Barbour Memorial Fountain" on Belle Isle.